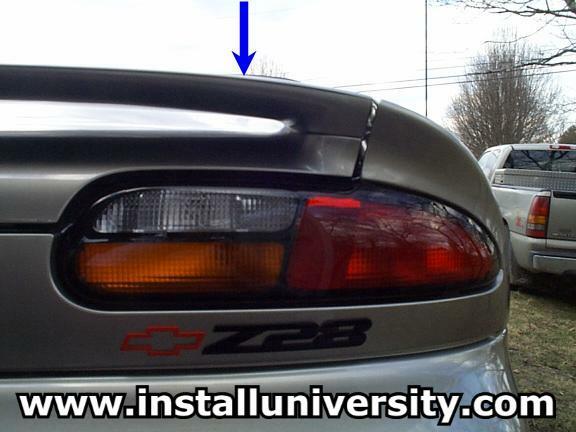 Purpose: This modification will fix the rear hatch release problem. You know what we are talking about. Press the rear hatch release button on your key fob or in the car and the door doesn't quite release and you have to keep hitting the button waiting on the door to release?? Yeah, we figured you knew what we meant. This is a problem that has plagued many of us F-Body owners to death. We have a fix that is so simple you won't believe what you are about to read! 1. First thing you want to do is go to the rear of your car. Press down on one of the sides of the hatch with your hand (see blue arrow in Figure 1). Take note of how much movement you have between the rubber bumper and your car. You have to peek inside the crack between the hatch and the tail lights. 2. 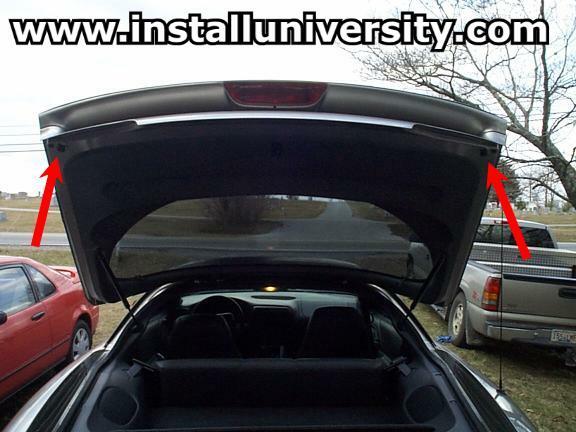 Open the rear hatch of your car and locate the rear hatch rubber bumpers (see the red arrows in Figure 2). Now, just give them a few turns each and shut the hatch. Press down in the same manner as you did before. Has the movement decreased some? If it has check the other side. If it hasn't then repeat this whole step. 3. Now, try the hatch release. Did it work? If not then try the other method which has a 100% success rate! It is the Rear Hatch Release Fix 2 document. Then you have probably eliminated the problem. If you run into this problem again down the road, just screw the rubber bumpers out a little more until you don't experience the problem anymore. It seems that these bumpers are not properly adjusted from the factory. Comments: At first we thought the cold weather was responsible for our malfunctioning hatch. Well, it turns out that it was not. Have fun!